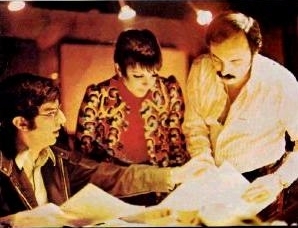 This page is devoted to Liza Minnelli's eighth album, The Singer. 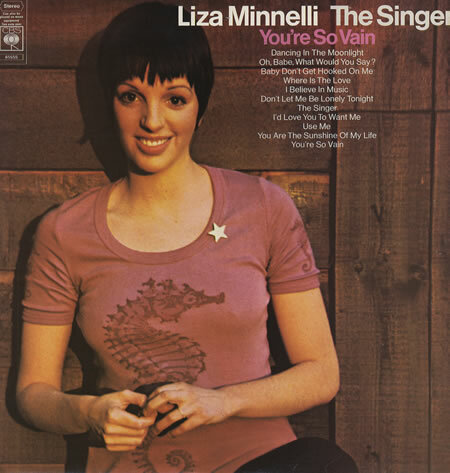 As Liza was the biggest and hottest "new" star during the spring and summer of 1972 thanks to Cabaret, her new label decided her new album ought to reflect this, as well as her youthful age, in an attempt to appeal to a younger crowd. The song list comprises mostly of songs that were hits at the time by other artists doing "light pop" (aka AM radio/Top 40), and Liza tried her hand at them as well. It was a winning combination, as the album sold quite well. It joined Billboard's charts on March 24, 1973, and stayed there for 20 weeks, peaking at number 38. This was the last time to date that a Minnelli solo album would hit the Top 40. Also, the "Dancing in the Moonlight" single reached number 22 on the British pop charts. The album itself reached number 45 in the British charts. The album was issued on CD in 1988 by Columbia/Sony, #CK 32149. It has long since gone out of print, but in 2001 it was made available once again from Sony as part of a two-CD set import from Australia, called the Liza Minnelli: Double Pack; the other album being Liza with a "Z".